The SUV rollover lawyers of the Willis Law Firm know that there are hundreds of rollover accidents involving SUVs, small vans, and light trucks every day in the United States, many of which result in injury or even death. These accidents are frequently the result of defects such as tire failure, tread defects, poor stability design, poorly designed suspension systems, and inadequate brake systems. Drivers and passengers have been injured and killed because of tragically preventable flaws in their vehicles’ design and construction. If you are one of the many people who have been injured as the result of an SUV, van, or truck rollover caused by mechanical failure, you and your family deserve financial compensation to pay for your medical bills, lost wages, and the pain and suffering you have experienced. 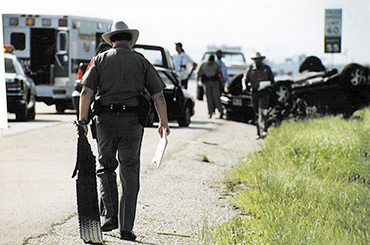 At the Willis Law Firm, our compassionate SUV rollover lawyers have a wealth of experience securing our clients the money and the justice they need. To discuss your case with us in detail and learn more about how we may be able to fight for you, please contact us today by calling 800-883-9858. If you have been injured in a rollover accident caused by an improperly designed vehicle or a malfunction, you deserve compensation. You and your family should not be forced to bear the consequences of someone else’s failure. 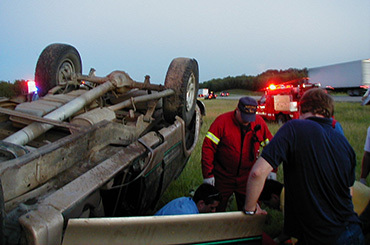 This rollover accident occurred after the back right tire had a sudden tire failure due to a tire tread separation causing the driver to lose control and roll over. Sadly the driver suffered a traumatic amputation of both legs, the passenger was killed and a child in the back seat suffered a fractured / broken neck. This rollover accident of a Chevy S10 truck resulted in the ejection of a young boy. The child’s seatbelt unlatched during the rollover allowing him to being ejected or thrown out of the rolling vehicle, resulting in a serious and permanent brain damage from this accident. Currently he is still in a wheelchair needing 24/7 medical and nursing care for his TBI. The driver of this Mazda pickup was rendered a paraplegic when the trucked rolled off the road down into a creek bed. She suffered severe spinal cord injury, spinal compression and fractures when the truck rook collapsed onto her head. This Jeep rollover accident occurred as the driver was attempting to avoid a dog, lost control of her vehicle resulting in the Wrangler rollover. The Jeep Wrangler’s “protective” roll cage or roll bars” collapsed onto the driver resulting in serious closed head injuries to driver. This accident occurred when the driver attempted to avoid contact with some deer that ran across the sand and gravel farm road. The vehicle rolled less than one entire roll. The back passenger was ejected during a rollover resulting quadriplegia. While driving the driver encountered an icy patch on the highway known as black ice. The SUV rolled over and the passenger sustained spinal cord injuries when the roof crushed down on him. Texas man was critically injured and rendered a quadriplegic in a van rollover. Though our client was properly seat belted in the front seat, he was ejected out of the seat when a seat back failure during the rollover and the defective seat back hinge failed and broke in half. Roof crush and spinal cord injuries to passenger when the driver suddenly hit a patch of ice at relatively low speeds. Car rolled when the young teenage driver attempted to avoid a deer that jumped out in front of her on a West Texas roadway. Roof crush caused serious head injuries and serious and permanent facial scarring. Oregon man loses control of his 1993 Pathfinder 4 door SUV as he over corrected and over-steered while exiting the freeway. The roof of his SUV collapsed down causing a bursting fracture of his C-4 vertebra rendering him a quadriplegic. It is not know why the driver lost control of vehicle, but when the Suburban hit the center median and culvert, the vehicle flipped over onto its roof and severely crushed all the way down to the top of the dashboard and front hood. In the process the driver’s head and upper torso went crushed killing him immediately. Texas driver on Interstate -10 was driving back from deer hunting and either attempted to avoid a road hazard or woke up after falling asleep. The result sadly was the same as vehicle rolled over and the roof collapsed pinning him in the seat while still seat belted in place. He died from his closed head injuries. Texas rollover accident and 18 wheeler accident happened to a Baylor Business School Professor after he and his wife were broad sided by an 18 wheeler resulting causing his heavy F-350 truck to roll over causing severe roof crush trapping the husband and wife. Sadly he died in his wife’s presence due to the roof trapping and pushing down on him causing traumatic asphyxiation and death. Young East Texas woman lost her life when she lost control of the Bronco her vehicle resulting in severe roof collapse and death to the driver. While traveling in Moab Utah, the driver became a quadriplegic after his Heavy Duty F350 truck hit a patch ice causing severe roof pillar collapse and spinal cord injuries to him. Mother and daughter traveling down Hwy 183 in Central Texas and while avoid an animal in the roadway, the driver flipped the Expedition. During the rollover, the mother seated in the front seat was killed from the roof collapse. Young married couple while driving back home to Austin, Texas from Dallas on Interstate 10 suddenly experienced a tire blowout / tire tread failure to the back left tire. The husband driving was unable to control their Ford Explorer and it rolled off the highway onto the service road. His wife, seated in the front passenger seat was killed when the roof pillars failed and the roof crushed down on her head. This Firestone tire was one of the millions recalled in one of the largest tire recall in U.S. History. The tragic rollover in New Mexico while a young couple with their dog suddenly rolled over. 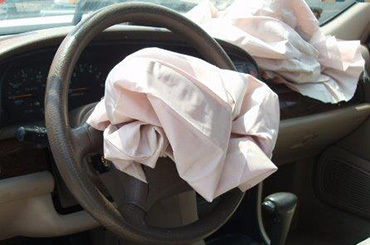 The driver was alleged to have over steered or over-corrected while braking to avoid a road hazard. The driver’s girlfriend in the front right seat was killed when the right side roof pillar collapsed crushing her and causing serious head injuries and her untimely death. This rollover accident occurred in the western hills of Arkansas when a young CPA on a business trip was forced to avoid an animal in the road and he lost control of his rental car, a Ford Mustang. 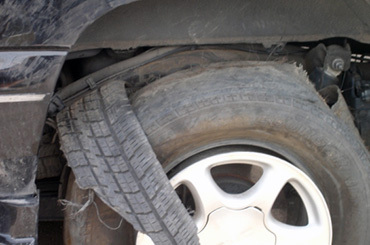 While this passenger car was spinning out, the back left tire de-beaded from the tire rim, causing the rim to dig into the pavement and thereby starting the roll. The vehicle rolled over and the roof crushed down breaking his neck causing him partial paralysis, but after months of rehab, he was able to regain 100% of his range of motion and use of all of his extremities. 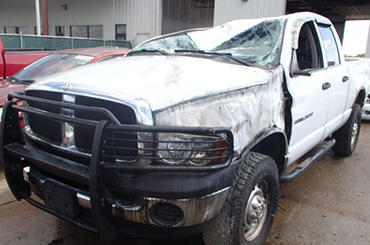 Beaumont, Texas man was severely injured when his Ranger pickup truck lost control and rolled over. He suffered severe head and back injuries. An out of court settlement was reached after a rollover lawsuit was filed, rollover expert engineers hired and discovery was completed. At the Willis Law Firm, we are dedicated to protecting the rights of our clients and fighting tirelessly to see that justice has been done. If we take your case, we will put our experience, intelligence, and determination towards winning you the financial compensation that you and your family deserve. 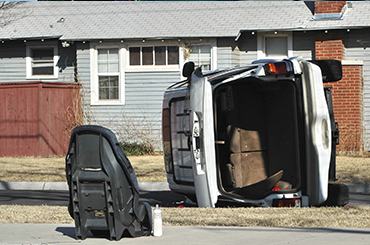 To discuss your case with our SUV rollover attorneys in more detail, please contact us today by calling 800-883-9858.